I came across this Facebook page here http://www.facebook.com/topic.php?uid=15704546335&topic=20578&post=913134 He is writing about an article written by George D Collins from The American Law Reviewdated Sept./Oct. 1884. The title of which is "ARE PERSONS BORN IN THE UNITED STATES IPSO FACTO CITIZENS THEREOF?" 10-446 KERCHNER, CHARLES, ET AL. V. OBAMA, PRESIDENT OF U.S., ET AL. Ok, I just saw on the Supreme Court posting. If I understand it correctly it was denied. Something about the Western Journalist was granted. Whatever that means. Sorry for your loss. The best hope now is trying start congressional involvement ahead of the LTC Terry Lakin court martial. Lakin has only 2 weeks before he will be seperated from his loved ones and be sent away to Ft. Levenworth for years of hard labor. Only our newly elected Congress can keep Lakin out of jail by becoming aware of the Lakin case and starting the congressional investigation. We have 2 weeks to haunt and track down every congressman and senator and tell them about LTC Terry Lakin. Terry Lakin's time is running out. Denied. Do we have a Constitution any more? Is QW possible? What possibility exists for "appeal" of denial from SCOTUS? Is this the last "legal" avenue available? Any chance of enjoining with other writs in process, whether the one fellow representing the shut-down Chrysler & GM dealerships (Obama regime targeted dealers with Republican ties / donations for closure)? What significance is there with approving the leave to file brief from Western Center for Journalism, but denying writ? Is there any further recourse? THANK YOU again for your very courageous effort. How very SAD that US Justices who are paid to defend the Constitution actually have no courage to do so. The battle will go on for me and I'm not sure the Judiciary will ever have the courage to stop corruption as they seem part of it. Perhaps, 32 republican governors can help put and end to the Impostor in 2012. I stand by my earlier statement. They KNEW that if they denied us, we would whine a little but nothing would happen. If they granted the cert, they KNEW that there would be massive and plentiful riots and thousands would die and millions might be injured, not to count the $Bs in economic havoc. So, what is the "responsible" thing to do? It seems to me that the next step is organize formal challenges to Obama's placement on the ballot in the several states when (if?) he runs for president in 2012. I personally want to do this, but without the aid of a knowledgeable public law firm I don't know that I will have either the legal knowledge or the financial resources to do this. In the meantime, many state legislators are proposing laws to show proof of eligibility. 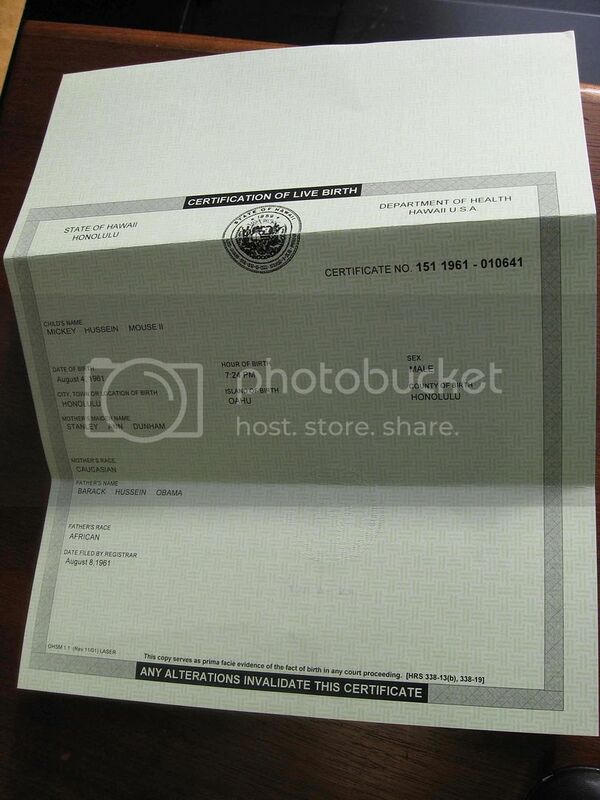 If the bills require only showing a birth certificate they do not go far enough. They also must require proof that the candidates' parents were citizens at the time of birth. How do we get through to these legislators to get them to write a correct bill? Governor Granholm was born in Vancouver, BC and came to the U.S. at age 4. She became a citizen in 1980. I include her in the list even though she would not be a natural born citizen by the putative definition of NBC, because I cannot predict how a court would rule. As for Senator Marco Rubio, I have not yet been able to verify the status of his Cuban born parents. Governor Jindal was born in Louisiana when his parents were not yet naturalized. Governor Richardson was born in the California because his father, who was born in Nicaragua, wanted him to be born as a “birthright” U.S. citizen. His mother was a Mexican citizen. 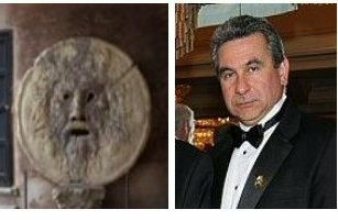 Both were living in Mexico City at the time. I think no one is really surprised by denial of certiorari. However, the result is a feeling of Betrayal and further disappointment in what is supposed to be our Justice system. The degree of hopelessness and impotence and frustration at our government, military, and in the viability of our Constitution to protect our rights may result in an uprising against Obama's communism that will turn America into chaos. The recent election gave cause to be optimistic, but the process may be too slow to stop the ruination of our society and a descent into civil war as hungry, broke unemployed citizens give up on elected officials. Pray for patience and work for justice by Congress and try to repair our broken electoral system. The researcher already got admission from the SOS of AZ that ARS 16-311 was never enforced. The Judy Burges bill requiring proof of citizenship was a misdirection away from the already existing law: Obama should have never been on the AZ ballot to begin with. The "Roberts Court" of the U.S. Supreme Court imo will be known in history as the Neville Chamberlain supreme court, the great Obama appeaser court. Appeasement due to fear that some immediate small amount of veiled and threatened violence from the far left Saul Alinsky goons and tyrants and bullies and thus not doing the right thing early only to support the rule of law and the Constitution ultimately leads to be much bigger problem later. History has shown us that over and over. This matter should have been addressed by the media and political parties early in the spring of 2008 during the primaries. It wasn't. Congress should have addressed this when asked and when constitutionally it was required to. It didn't. The courts should have addressed the merits of the questions when appealed to early on. They didn't. Everyone in our system of government chose appeasement over confrontation and punted the ball to someone else. Now it is far worse. The Supreme Court has chosen appeasement and inaction over action and dealing with the issue and questions openly in a court of law under the rules of evidence and law. Our Constitutional Republic and legal system is now compromised and broken. And it will only get worse as our legal system and constitutional republic further deteriorates and the rule of law gives way to appeasement of bullies such as Obama and his far left cronies and puppet masters. Appeasement of the constitutional usurpers will not make it go away. It will only delay the inevitable and fester and in the end be a far worse situation to deal with when the real nature of the tyrant reveals himself in a bolder way and takes away all our liberties. Neville Chamberlain tactics never work with bullies, tyrants, and national socialists. Congratulations SCOTUS you have in a smug few hours of deliberation added a day of infamy immemorial to Pearl Harbor, 9/11, and now the Obama, et.al. usurpation dissolution of the Constitution and the American experiment. You were very efficient and the opacity of your reasoning is the modern equivalent to the Oracle at Delphi. You have reduced US back to nothing more than that. All those millennium of adduced truths made disciplined and incarnate in the Constitution, you have rationalized away in the ultimate and final fragging. I just hope the country lives long enough to know the utter disgrace of the Constitution, profession, intellect and facts that you explicitly intimately created on this day. Yes, I agree totally. USSC is identical with Neville Chamberlain. One of the most despicable "statesmen" in history. He also chose to do the "responsible" thing rather than the RIGHT thing and the NECESSARY thing. Again, although your comments are useful, they are completely meaningless to me with respect to the future of this case! ---Is it the end of this case, as the Certiorari was denied? ---It is simply scandalous that the two Supreme Court judges appointed by Obama decided not to recuse themselves on such a case involving directly Obama as POTUSA!!! Don't they have a (at least moral) obligation to do so? Hope to get a better explanation of what is next concerning this case. Thanks in advance. This American Justice System is travesti of Justice! It is simply scandalous that they avoid such a critical Constitutional issue! You'd never get an accurate body count on the Mall! How about a march on the Supreme Court instead? Speaking of Neville Chamberlain, Churchill said of Chamberlain's fateful capitulation to evil: "England has been offered a choice between war and shame. She has chosen shame, and will get war." If it takes a march to get their attention, just tell me where and when. I am so deeply disappointed, angry and dissillusioned but not surprised. I just want to know what it is going to take to get back to the Constitutional form of government. I have absolutely no faith in new incoming republicans. Too soon they will be caught up in DC politics and forget what the Constitution is. No matter how often we call/write/email/march we will be ignored or ridiculed. Mr. Apuzzo and CDR Kerchner, you have my deep respect and appreciation for what you have started. I know that it is not done and you will both continue to fight on. I am thoroughly disappointed that the persuasive Petition you have presented would be denied without comment leaving the dismissal by the 3rd USCA to stand notwithstanding the brilliance of the arguments for ‘standing’ and the surmountable distinguishments of the ‘political question and Separation of Powers’ issues that make for necessary constraints on the court. This has made me uneasy as I await the impending ‘decision’ for the AAO on the ‘denial’ of the N-600 Application which will give me ‘standing’ to appeal the ‘administrative decision’ in the Fed Courts. My effort to separate the ‘transient Political aspects’ and pursue the purely ‘citizenship question’ of ‘natural born Citizen’ through the Federal system has provided me with several associated causes of action beyond the initial denial but if the SCOTUS has found it so easy to ‘EVADE/AVOID’ your Petition I, today, feel wholly inadequate to speak on behalf of the majority of American Citizens who are natural born Citizens. Yet, the ‘citizenship question’ must be asked and answered by a duly authorized institution of the Constitutional Republic before surrendering to baser impulses. Can the USA still be defined as a Republic albeit no longer girded by the Constitution (and Declaration of Independence)? The clerks did not give the writ to the justices. That is the only way it could have been denied. Roberts himself in a speech directly told Orly he would hear her finding. And remember the clerk rangled her petition to. But yet Roberts himself might be in conflict for the swearing in. NOW a proven fact, This is a PUNK country. More comnent, other nation leaders do know that USA is illegimate in standing. Can someone explain the "The motion of Western Center for Journalism for leave to file a brief as amicus curiae is granted" . Does this help at all? As far as I know, the Western Center for Journalism (Gary Kreep) seems to inject himself in all these cases -- Orly Taitz, etc., now Kerchner -- in the 11th hour and then the case, which otherwise seemed hopeful (IMHO) then goes down. I know also that Kreep mucked up Orly Taitz' Alan Keyes case as to timing, preventing her from serving Obama before the inauguration which the Carter Court later cited as a basis to toss Taitz-Keyes out. Could Kreep be a Team Obama operative -- providing a way for the Courts to get out of it??? Just asking. I think that many of the things you portend will occur precisely because of the stiffing of the American people not because of finding a criminal has violated the (supposedly) highest law aof our land. As it is now the Constitutional requirements mean nada, zip, zero and ANYONE can become President, eligible or not. The Constitution means absolutely noting except as the Oligarchs (and that now includes the entire Justice Branch) devine it to be. Hell, they can't even summon up the backbone to recuse two clearly conflicted justii. I think the Roberts Court will more properly go down in history not as the Chambberlin Court (He only helped start WWII) but rather the Treason Court since as a body SCOTUS - and the entire Justice Branch - have not only routinely committed treason by refusing to honor their Oath of Office and uphold and defend the Constitution. As if that weren't enough, they have singlehandedly done away with our Constitutional Republic. In my book, all of that is treason of the highest order. Can someone explain the "The motion of Western Center for Journalism for leave to file a brief as amicus curiae is granted" . There was a motion pending before the Court for leave to file the amicus curiae brief. The Court has to either grant or deny the motion. The Court granted it. Then, considering both the Petition and the amicus brief, the Court denied the Petition. I have to assume you will submit a letter for reconsideration. So that would put it in the hands of Justice Alito. My question is how is the result of a reconsideration communicated...? I don't find 'reconsiderations' on the 'orders list', so is it 'ex parte'...?..........or just 'no response' is a denial of reconsideration...? 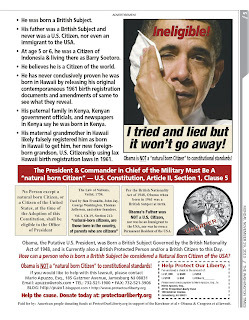 Go for Obama for his Arizona nomination statement, signed by a notary public, stating that he is a 'natural born Citizen'. Obama made the claim, the onus of proof weighs on him. The real meaning of Kerchner case: the limits of Marbury v. Madison.